I am sure that a lot of you have seen the headlines stating that “Sitting is the New Smoking”. It is true that as a western culture we have become more sedentary. Our lifestyles tend to lead to us sitting at a desk for the majority of the work day, sitting in meetings, sitting in front of the TV, etc. While I admire those around me that can fit in work outs 3 times a week, I never seem to have enough time. With work, social media, blogging, family and all the volunteer activities that I participate in, exercise and my health sometimes falls to the way side. Sitting all the time does take its toll. I do occasionally have lower back problems and I have had knee issues since I was in my early teens – sitting only aggravates this. Plus I also have poor posture from sitting too much. So I decided that it was time to make a change. I needed to start working on my health and wellness. I decided to start by addressing the fact that I sit for the majority of my day. After reading some inspiring articles of others that had transitioned to a standing desk I decided that I wanted to try it too. Just over two weeks ago I received the VARIDESK ProPlus 36 from Fitterfirst. 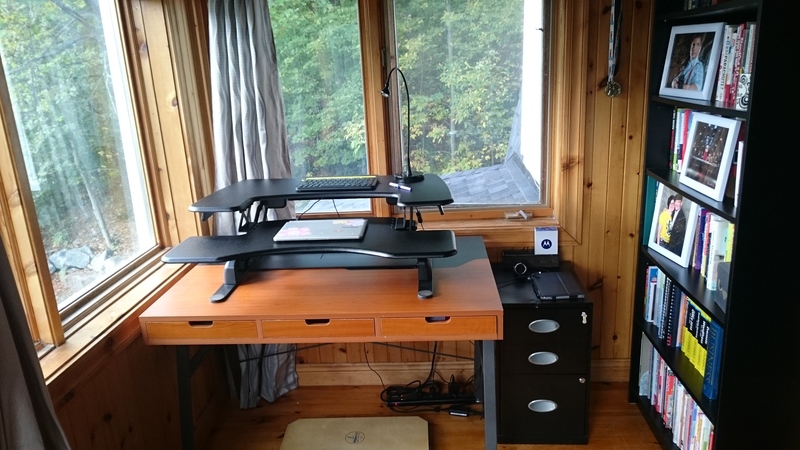 It fits onto an existing desk (more economical than buying a completely new desk) and has enough space for two monitors or for a desk top computer alongside a laptop. It arrived in a large box but it comes pre-assembled (which is great) so all I had to do was take it out of the box and put it onto my desk. The ProPlus is a sit/stand desk which I think is the way to go if you are transitioning to a standing desk. If you are used to sitting all the time, suddenly standing all day long can cause pain and discomfort in your feet and ankles. As with all things in life, moderation seems to be key, so sitting for a bit, then standing for a bit appears to be a good balance. What’s great about VARIDESK is that they have a companion app that you can install on your Android or Apple phone, smartwatch and even on Windows or Mac. 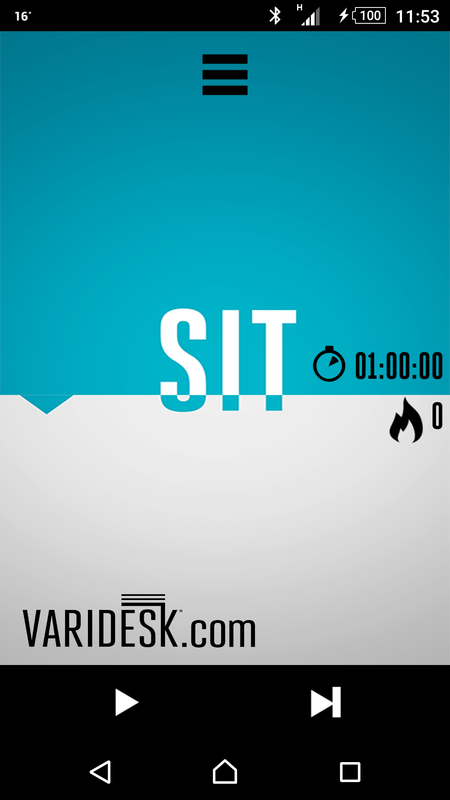 The VARIDESK companion app helps you to transition from sitting all day while working, to alternating from sitting to standing. All you have to do is set the times that you want to sit and stand during your work day. The VARIDESK ProPlus is very well made and sturdy too. You have to manually change the desk from a sitting position to a standing one but it takes only a few seconds and it does not feel like it will break – even after using it for a long time. You can adjust the height of the desk too so other people can also use it. My family also really likes my ProPlus desk and as soon as I am not home my daughter takes over my office space. Because my office space at home is all hardwood floors I am also using an anti-fatigue mat from Fitterfirst. Having a good quality mat to stand on is also important for comfort and it also helps to alleviate leg and back pain. My lower back pain has improved tremendously. My posture has improved. I find that when I stand I don’t slouch as much. The stiffness and pain in my knees that I experience if I sit all day has improved. When I am standing I feel more creative and focused than when I am sitting. 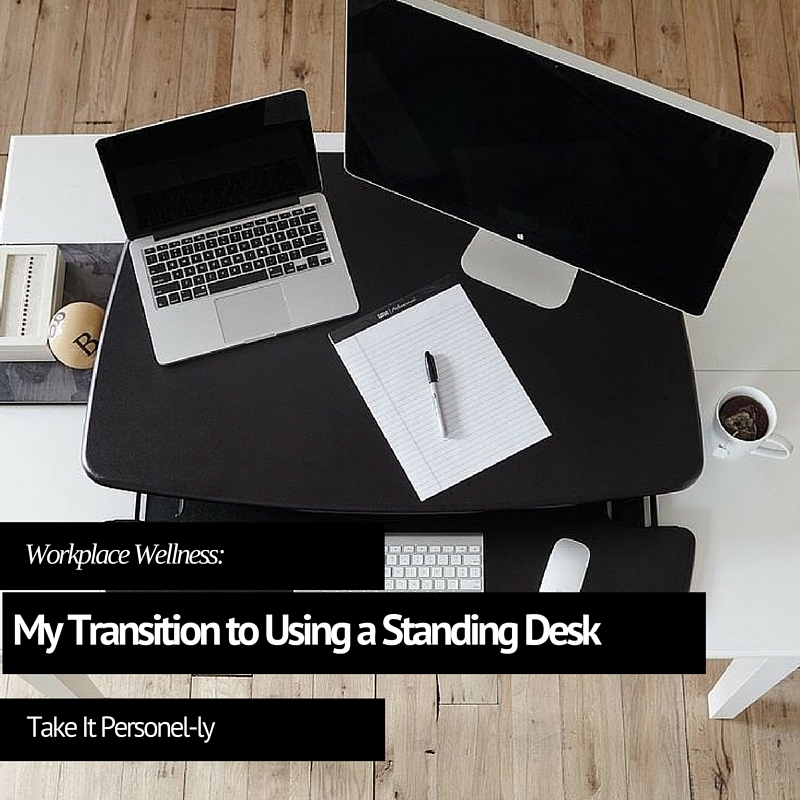 If you are thinking about changing your office habits and want to transition to a standing desk I highly recommend using a sit/stand desk so that you can adapt and get used to standing more. There is health benefits associated with not sitting all the time but drastically changing from what your body has become accustomed to over many years to a whole new way of working can cause other unintended issues. Check out Fitterfirst and their VARIDESK line as they offer well-constructed sit/stand desks that can fit your current desk space and reasonable prices too. 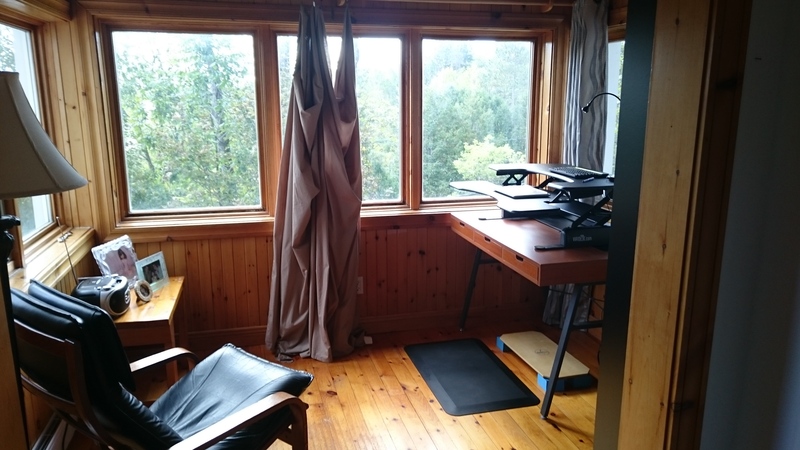 As I learn to balance work and life (and integrate everything in between), and incorporating the best choices that I can make for my overall wellbeing, opting for a sit/stand desk has been a positive step in the right direction. I have also received a balance board which I intend to start incorporating into my everyday use and can’t wait to report back on how helps making standing a more active task. If you want to learn more, check out this video from VARIDESK. I received a VARIDESK ProPlus desk from Fitterfirst for review purposes. Good or bad, my reviews and opinions are honest with my readers best interest in mind. I am not paid for positive reviews. I was wondering what it would be like to work from a standing desk. This one from FitterFirst looks like it would be a great one to use to transition from sitting to standing. Thanks for sharing this great product with us!